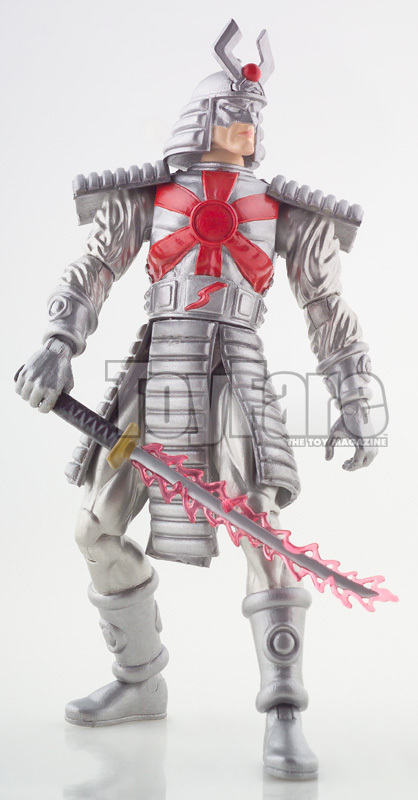 Silver Samurai (Keniuchio Harada, Marvel Prime). Wolverine seems to have a habit of stealing other heroes villains. Introduced in Daredevil #111 (1974) by Steve Gerber and Bob Brown, Harada is the illegitimate son of crimelord and Wolverine villains Shingen Harada and half-brother to Wolverine’s love Mariko. He first appeared as a mercenary working for Mandrill against Daredevil and then served as the bodyguard of Viper (Madame Hydra) where he clashed with a number of heroes such as Spidey and Cap. After learning of his father’s death, he tried to take control of the Yashida clan from his sister and fought Wolverine. He allied with the Hand and Matsu’o Tsurayaba, who eventually poisoned Mariko. Even though he was given power of the clan, his regret of the death of his sister lead Harada to try and make amends with Wolverine and turn the clan around. As such he was made leader of the new Japanese team, Big Hero 6 (no, not the Disney one) but eventually gave up this role to his cousin and national hero, Sunfire. After losing control of the Yashida clan, he sought Wolverine’s help to regain it but the shame of losing the clan forced him to return to his mercenary ways. After gaining control of the entire Yakusa as the Silver Shogun, he somehow ended up in the Raft, where he escaped when Electro cause a breakout. He reunited with Viper but helped the New Avengers defeat Hydra and was made security officer to Japan’s Prime Minister. After losing his hand to Wolverine when the Canadian regained his memories, Harada was eventually attacked and brought before the Devil in hell. He was then killed in front of Wolverine when the Devil used the Soultaker sword to slice him up. His son, Shingen, has since taken up his father’s role as the leader of the Yashida clan. Silver Samurai has been a strong fan request for a long time, being one of Wolverine’s earliest and longest villain and ally. Hasbro originally had him as part of their first ever fan poll but AOA Sunfire was the winner. (His cousin ironically). Since then, he has been asked for by many people and has been hinted at for a long time. He finally got a figure in the X-men Vintage wave. When Wolverine gained his first ungoing title, Silver Samurai was one of the first characters he fought. But when he appeared in that comic, his designed changed dramatically since his appearance in Daredevil. He now instead look more like a proper samurai in proper armor. This would become his signature design, that would be changed only due to the artist interpretation of the costume, similar to other classic costumes. If you are a Wolverine fan, then this is a figure you have to have in your collection as he is one of Wolverine’s most frequent villain/ally. It could also be got for Daredevil and Elektra fans as he has had memorial fights against them as well as the Avenger rogue’s gallery as he has fought and teamed up with the team a number of times. If you are thinking that we will get more Big Hero 6 character, unfortunately with Disney taking full control of that line, they won’t do anymore of them, so there is no need to try and get this for that. First appearance – No. Just No.